There are 2153 posts in this topic. You are on page 27 of 44. I know they sell their seconds and thirds (silver/bronze?) Do those count towards the preorder numbers? 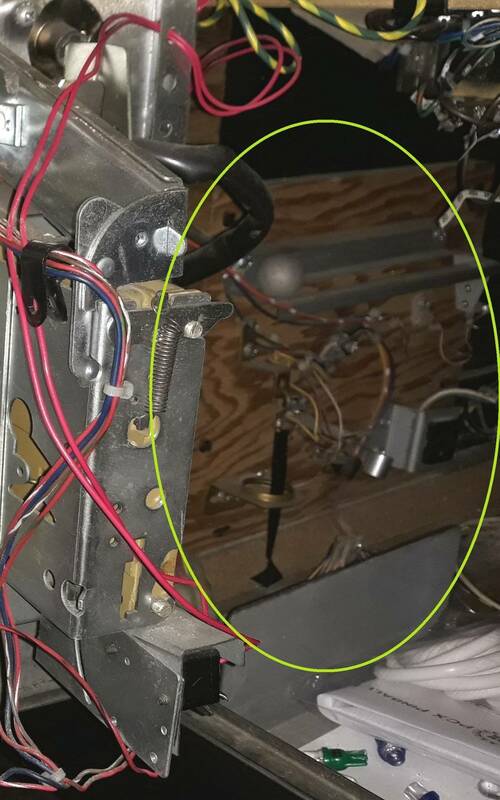 I just purchased an EBD in May that could really use an upgrade field. I sent them a note a couple weeks ago to be added to the standby list, but haven't heard anything from them. If there are none left, perhaps someone will have a decent original for sale when they swap out. Thoughts? I doubt seconds and thirds would count. If they have 200 preorders, I imagine they run +10% or something like that in anticipation of having a certain amount of PFs that don't make the grade. I have a Silver Centaur and a Bronze Fathom and both still look great IMO. With that said I'd be curious to see if anyone has heard about availability on the stand by list. I've been on since it reopened and have heard nothing. early Christmas present has arrived! I have an 8 Ball Deluxe LE that I am shopping out for a customer and a standard 8 ball deluxe I just picked up. How do I find out if its and 84' or 80' version? Also anyone know where I can pick up a new or used decent condition backglass? Curious is anyone else has spots/speckles in the green of the "felt" Almost looks like a poorly mixed color pull prior to screening. I ask because I was surprised this made the "gold" level standards. I am stoked to have anything at all, just trying to figure out if this is the currnet standard for gold level or I got one that was missed in the grading process? 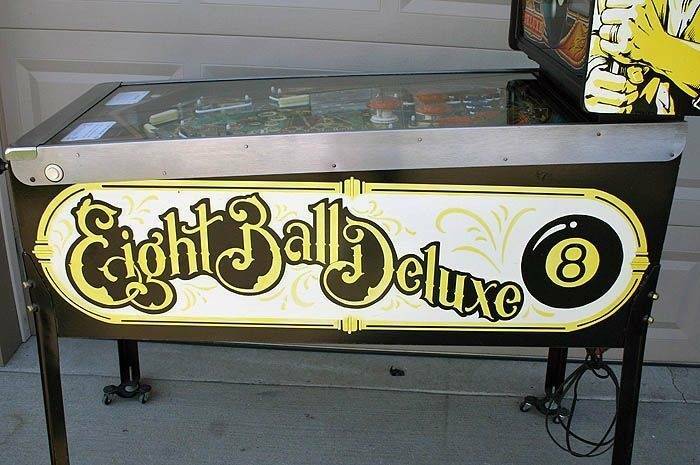 I have an 8 Ball Deluxe LE that I am shopping out for a customer and a standard 8 ball deluxe I just picked up. How do I find out if its and 84' or 80' version? 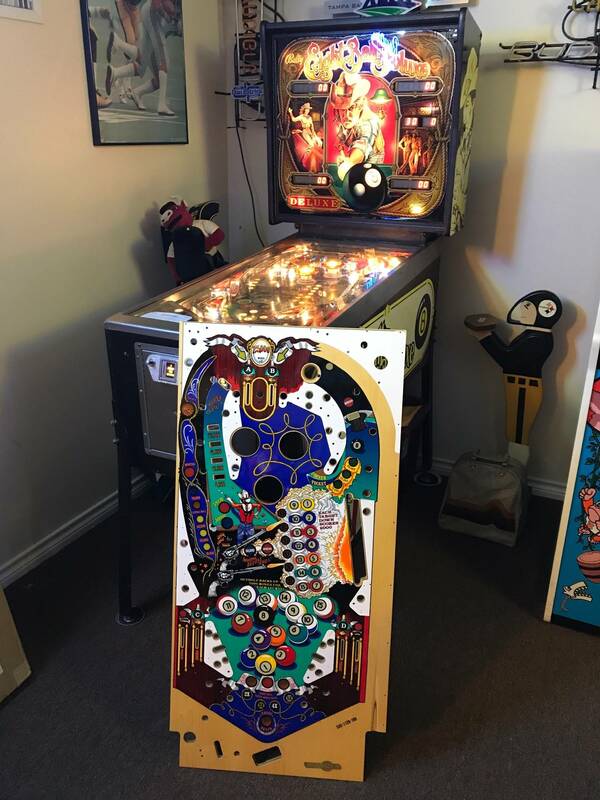 '81 version has the lift out backglass, the '84 Midway version has the hinged backglass. The '84 has a solid black cabinet front. Sides of the backbox are different (good cowboy) on the '84. '81 is more cream, gold and black. '84 has more just yellow and black artwork and I believe there decals, not painted. Aprons are different. There are more differences but those are the obvious ones. by Marti Sperling (private commission) back in the late 90's. This was not traditional CPR vector redrawn artwork. alignment may be ever-so-slightly off in places. 2. Two of the inks used in the EBD pallate were semi-transparent. These were the Pool Table Green, and Deep Blue color inks. lay underneath these colors MAY show through a bit. On every playfield. Even the Golds. Photo examples are provided to the left. matter to us, but we know are extremely crucial to some. do not proceed with a purchase. thanks for the heads up and good to know this is the expected standard on the run. just happy to have one. Since I have a CPR version acquired, I now can offer up a nice example with a laminated overlay which I previously acquired that is available if anyone wants it. It originally came from a pro that is well known for his ability to apply these overlays and does a dman fine job of it. I picked it up for $450 and will sell it for the same if anyone is looking. I can grab some photos lated this evening. PM me your email and I will send them to you. I have 3 spots in mine as well. I also noticed the Special and 50,000 lettering for the Bank Shot has a darker green surrounding it compared to the "felt". My original does not have the darker color. The CPR version has it too, but because the blue is darker it's not nearly as visible. None of this will be noticeable once it's installed in the game, just picking nits really. 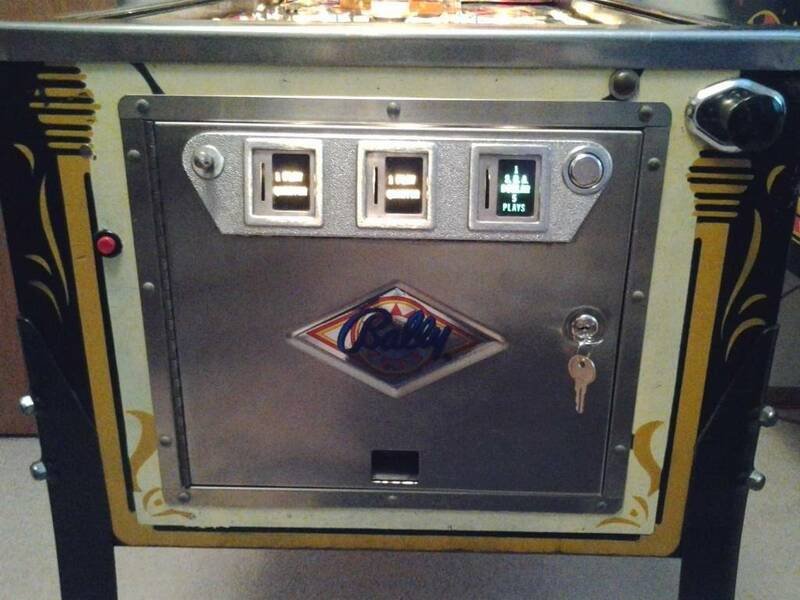 Thank you CPR for running this playfield again. 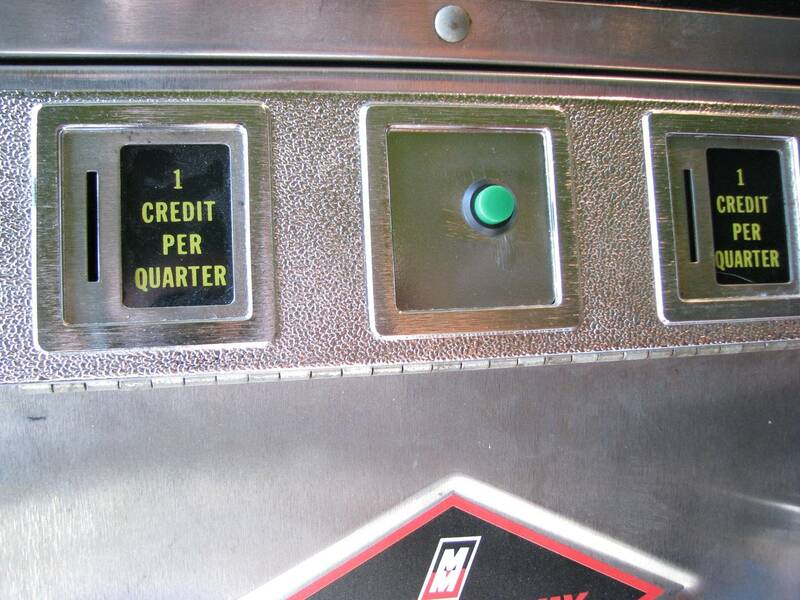 It looks great and I'm looking forward to restoring my machine. 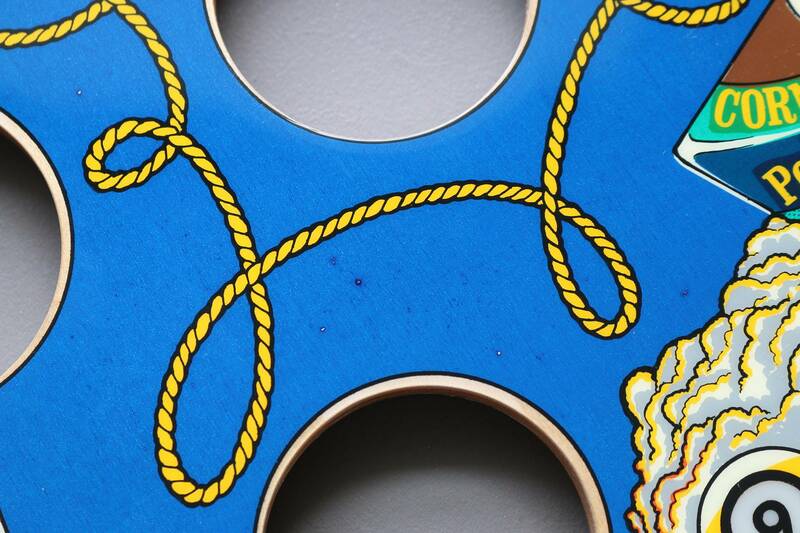 Gotta ask - why would CPR use semi-transparent ink knowing that playfield wood "character" is going to show through it? There are more differences but those are the obvious ones. I noted about 30 differences I noted so far between the 81 and 84 versions. Many are showcased in my video tutorial review. 82 LE has a different set of differences. 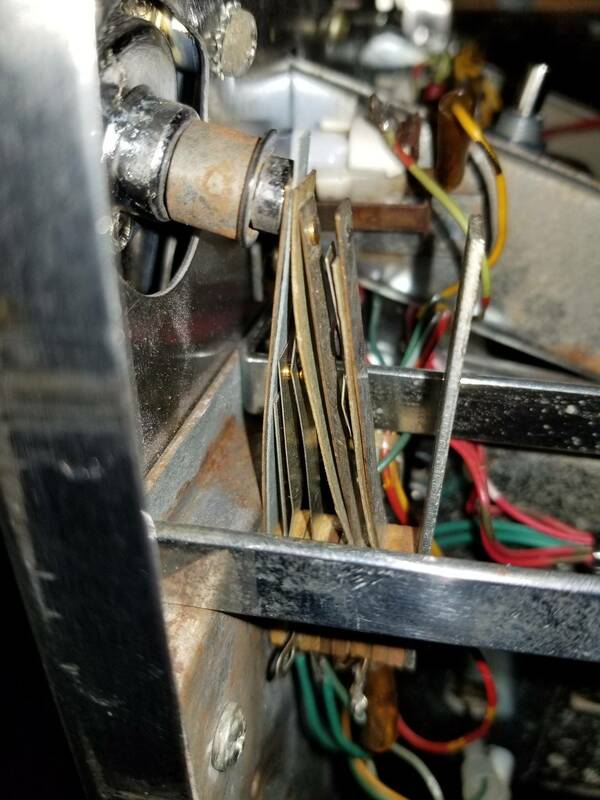 The only thing people need to remember is the "swinging door" backbox to identify the 84, although I have actually seen some mix 'n match games (84 backbox on an 81 lowercabinet) over the years based on parts not just on improper painting with stencils or a few poor quality decals made in the 90s. 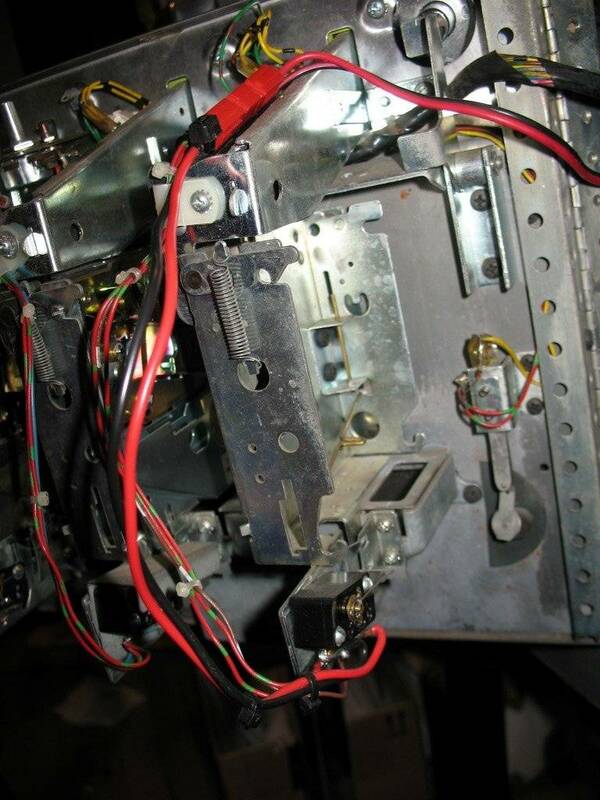 Every game version has a different wire harness configuration. Owners need to remember this when restoring this title. You know that's probably a good question for Kevin to answer. It would definitely have been nice to have Stu tweak some of the color imperfections out of the Fabulous Fantasies artwork but maybe they just didn't have the time or resources available. The playfields are still awesome as-is and CPR did make some improvements since their first run of these. These newest versions are far better than most NOS playfields still left in existence at this point in time. I'm sure glad I got on the list. 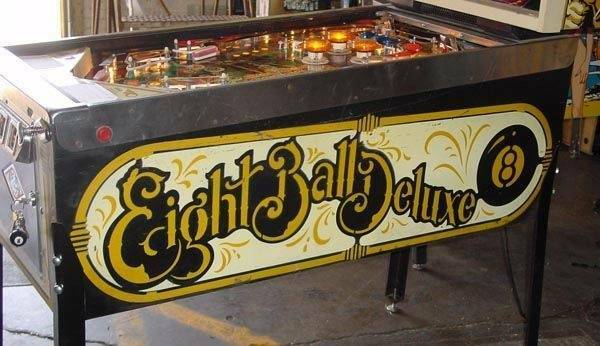 Eight Ball Deluxe is one of the best pinball machines ever made (if not the best). There will always be a demand for parts for EBD and I wouldn't be too surprised if CPR decides to make a 3rd run of these sometime in the future. The demand is obviously there. Just look at how fast this latest batch sold out. I bet it was faster than any other title they have ever done. I wish they would have made more plastics sets too! The CPR plastics sets were the best ever made IMO. There's a demand for more EBD backglasses too. Gene knew which ones to make too. EBD and Kiss were the best two to make from Bally. I still have one of each that I purchased new from IPB back when they were still being made. I hope CPR makes the Kiss they are taking pre-orders for too. Another Bally playfield I'd really like to see CPR make is Harlem Globetrotters. They were planning to make them but it fell through over some licensing issues or something. 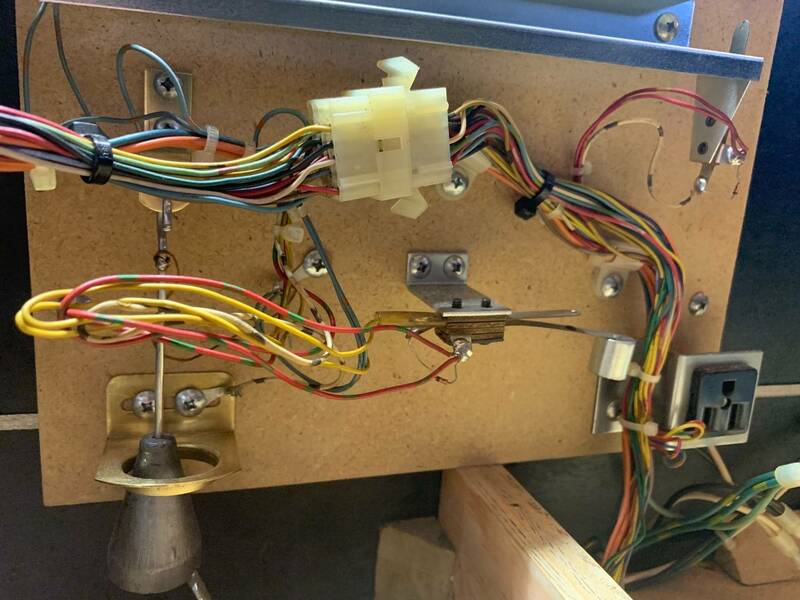 Every game version has a different wire harness configuration. Yes they do. I have good samples for both the '81 and '84 editions. 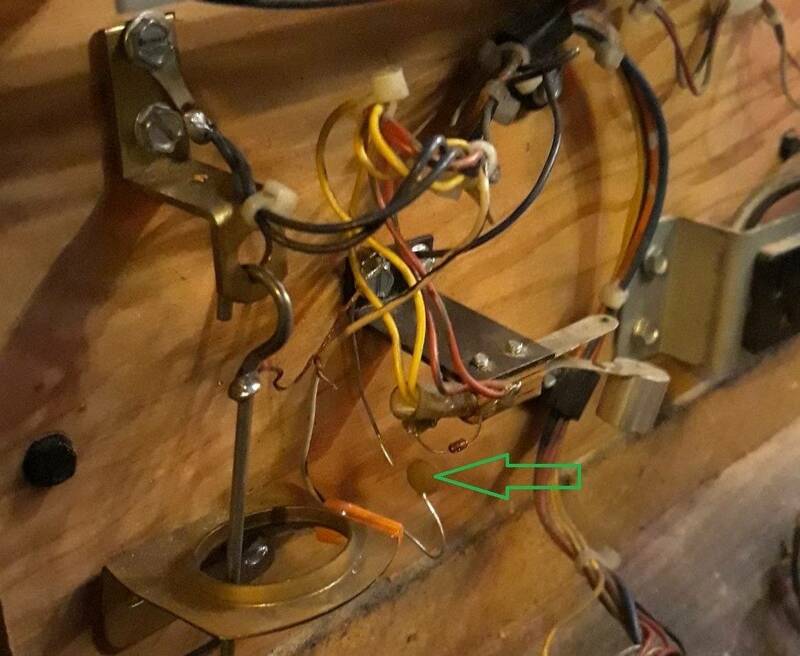 I am finalizing the jigs and will soon be offering lower cab harnesses, back box interconnect harnesses, a mini one for the controlled and GI lamps on the score board and another for the two outputs on the aux lighting board that go to the controlled lamps on the '81 playfield harness. 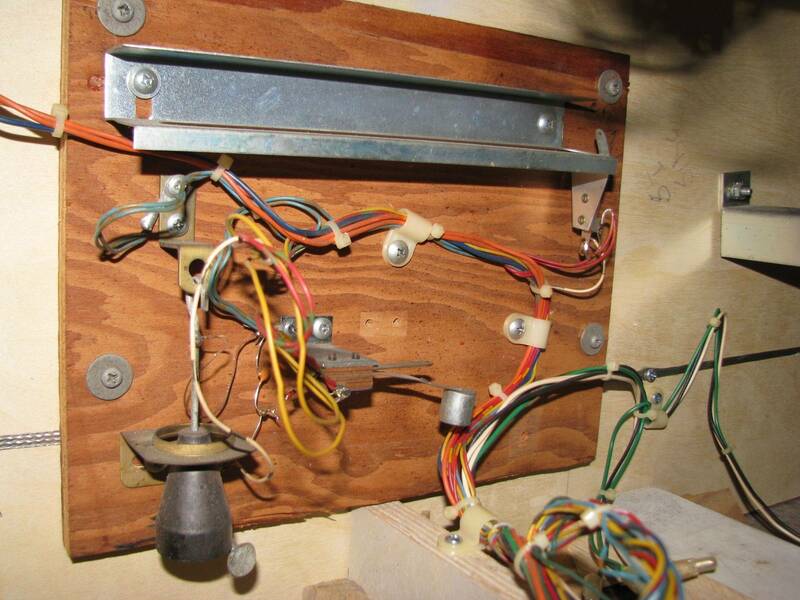 (On the '84 this was fully integrated into the play field harness.) 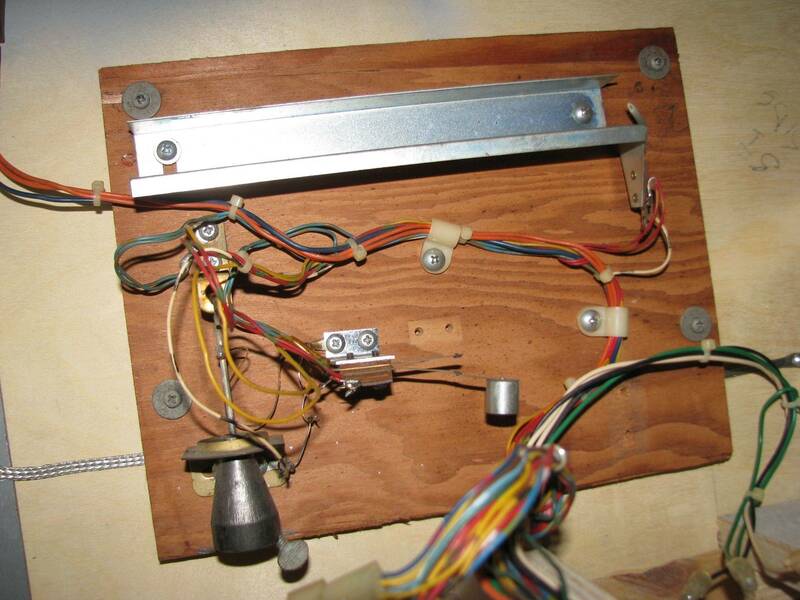 Also offering Bally coin door harnesses and rectifier board wiring, ground braid, ground wire, varistors, on/off switches, etc, etc, etc. It's a "Build a Bally" shop! You know that's probably a good question for Kevin to answer. Unless I missed it, this time I didn't even see a CPR post announcing that the EBD playfields were shipping. I was just curious why inks were used that would cause these "effects" for lack of a better word. Seems it could have been avoided by just using an opaque ink of the same color instead of semi-transparent. I agree with you though that they are beautiful playfields nevertheless. You might want to subscribe to their monthly newsletter that just got started. Stu, Kevin, and "crew" are starting to pump out serious backglasses. SoF mirrored conversion just hit the streets in the last two days. BK2K was less than two weeks ago. Skateball less than a month ago. More playfields are are to follow for other titles. This includes dropping that pre-order email immediately when posted as open, if you really want something and are completely serious. The EBD list closed as full in less than 6 hours. Potential buyers just need to be cautious and understand potential "blacklisting" if they renege repeatedly on pre-orders. I wish they would have made more plastics sets too! I sure could use a plastic set!!! f anyone has a spare, please pass them along. BAA still has their sets in stock. They're not perfect, but they are pretty damn good! I was summoned to come here and answer this very excellent question, so it could be put to bed. So I will. It's worth chiming in for. The two colors in question are Pantone GreenC, and Pantone 300C ... and with all spot colors in the industry, are made up of some combination of the 18 primary colors (the Pantone Matching System series) offered in inks today. This means every spot color we can screen are mixed from 18 colors. We keep the entire Matching System set on the shelf, in gallon cans, to make our inks from at all times. Those 18 Matching System colors are pure in the cans, meaning they are completely tint. There is no "white base" in them - as that would "whiten" or dilute their pop / strength. This puts the 18 Pantone Matching System colors way out on their respective points on the color spectrum (for maximum gamut), each pulling in a specific different direction. Being completely tint, no base, they are like liquid color - like a candy apple coating - and are semi-transparent. 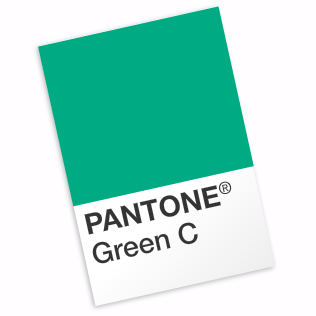 So let's start with Pantone GreenC ... the recipe for Pantone GreenC *IS* Pantone GreenC ... as GreenC is one of the Matching System series. You don't need to add or take away anything from it. It's straight out of the can. 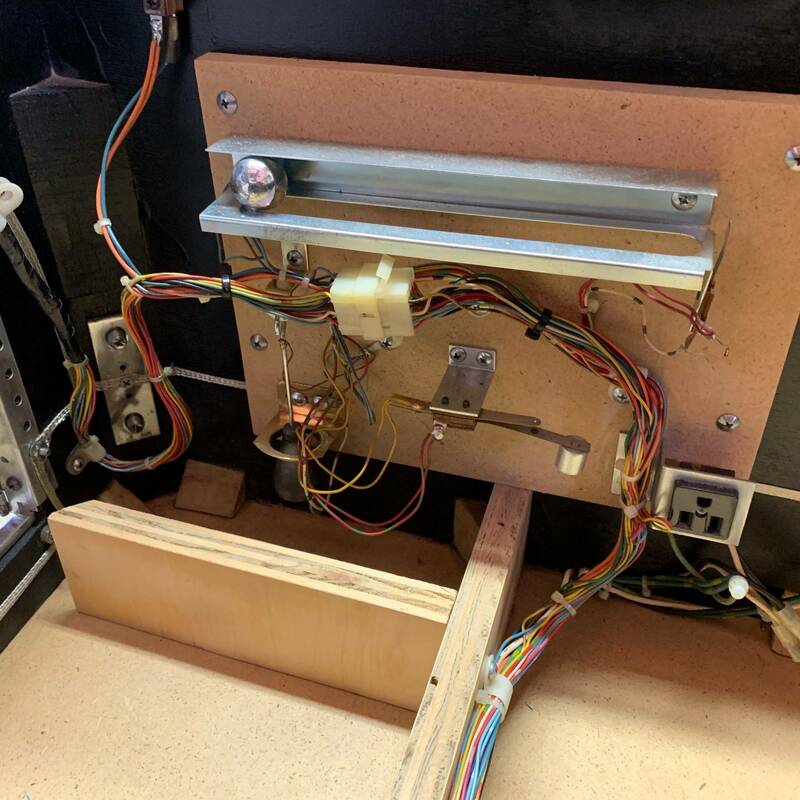 So in the case of EBD, it gets printed to the playfield as-is. Adding white to it, to opaque it up, will fade out the GreenC and make it lose pop and look completely incorrect. GreenC ink sitting on top of a pure white base (the white ink on the wood underneath) is exactly how you achieve GreenC in printing. That's how you "hit" the color, dead-on. 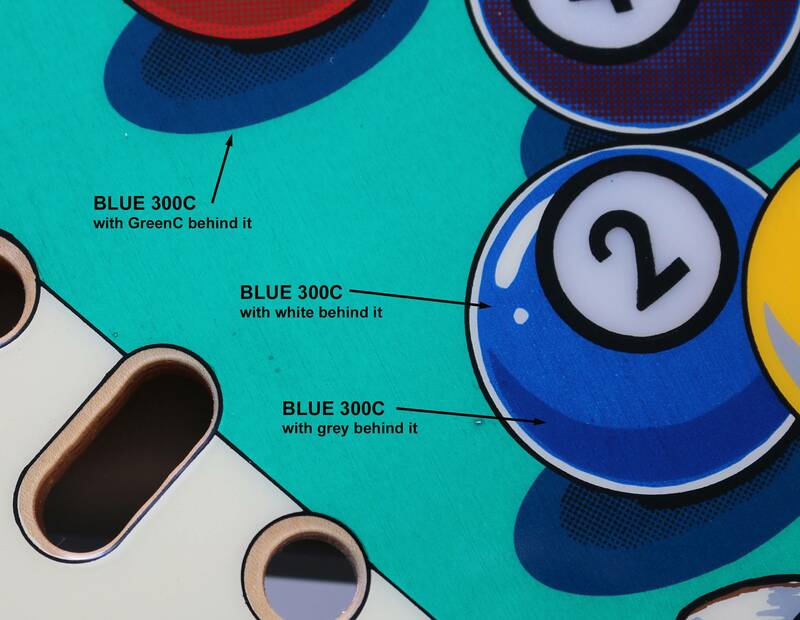 Pantone 300C is a medium blue that is very very common in pinball. It's recipe is a mix of 81.25% Pantone BlueC, and 18.75% Pantone Reflex BlueC ... no base/white added. Printed on top of a pure white base, to achieve the final color. Swatches of both (just taken as examples from Google images) are below. Monitors may vary. In conclusion, some colors, based on where they sit on the full gamut, contain near zero (or actually zero) base/white in them, in order to hit those "poppy" colors on the far edges of the color gamut. 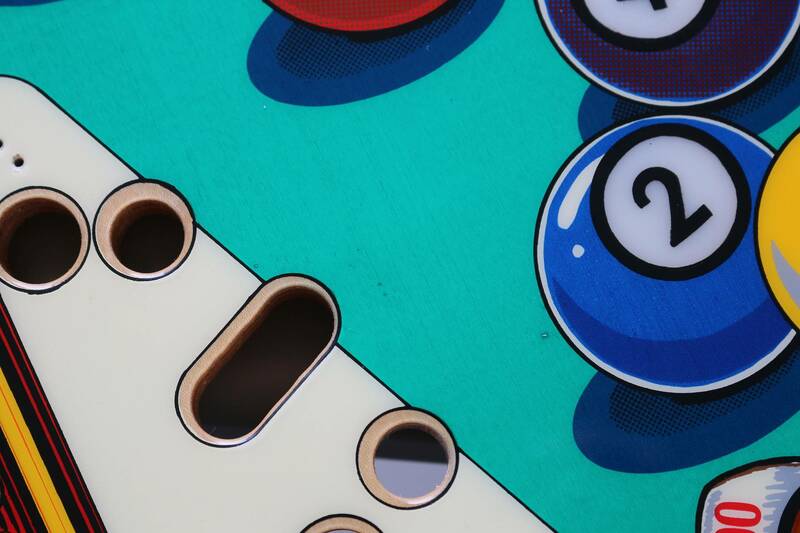 That is why if those come up, a color or two on a playfield, you can see "thru" them to the white-on-the-wood below. Most of the time, colors on playfields are more towards the middle of the color gamut, and have 10%, 20%, sometimes 50% white(which is opaque) base in their recipes. GreenC and 300C do not. 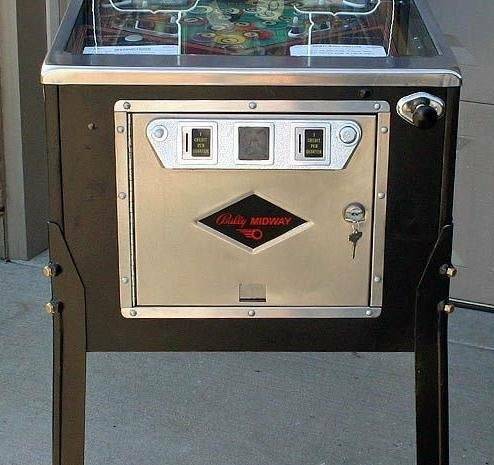 Just so everybody knows, Bally went through the same thing, with semi-transparent inks (I mean, they had to, just like us) on every original EBD playfield out there. We have an NOS EBD playfield here, Kruzman clearcoated, as a loaned specimen... never had a ball played on it in it's life. 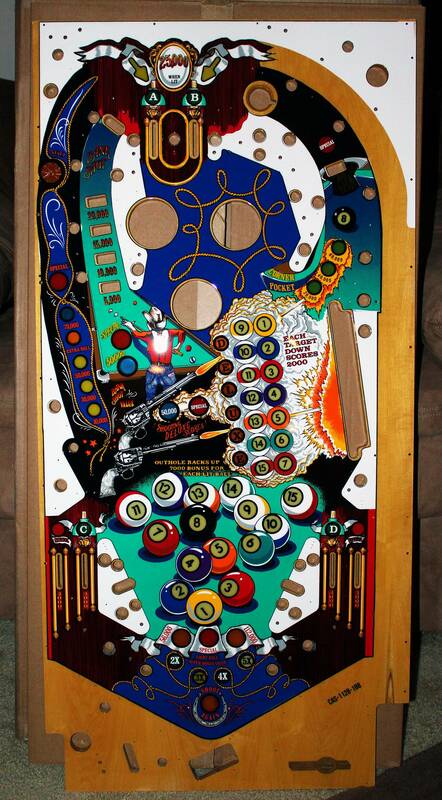 This NOS playfield you can certainly see "thru" the green and blue inks. It has some little nits/hickeys showing through from the white layer and wood underneath... but moreso the completely visible vertical-sanding grooves in the woodgrain show through the most (where ours don't have that, because we sand with finer grits than back in the old days). Photos attached below. 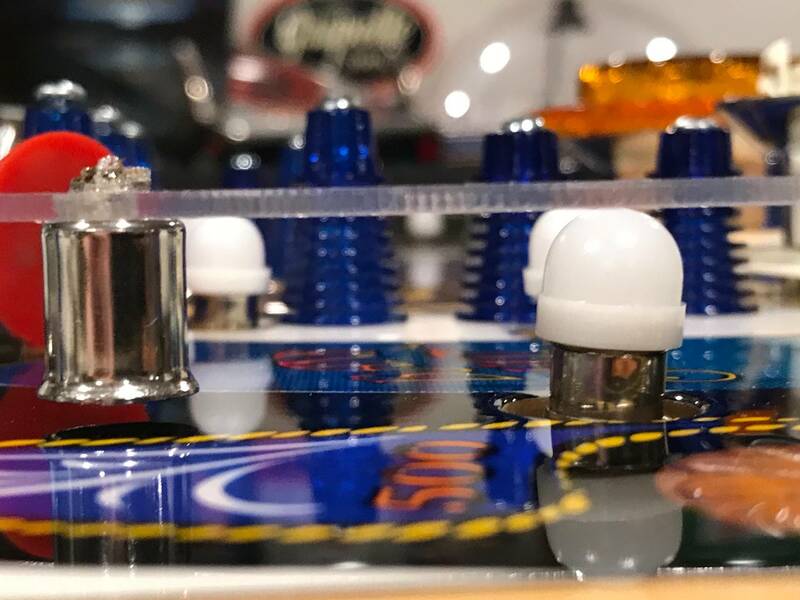 No matter how or who does EBD playfields, both those colors are semi-transparent. Hope this helps explain the logistics of this stuff. If it were only so simple. Oh, and just to SHOW what happens when you add base (white) to a pure tint based ink mix... illustrated below. It starts to "fade out" the "pop" the more base (and opacity) you add into it. 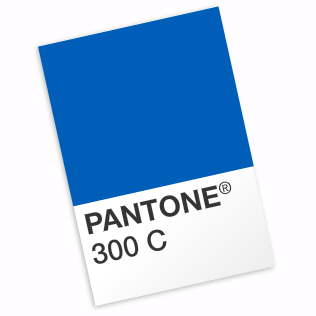 So in order to make 300C go completely opaque, you'd have to be somewhere halfway toward the left extreme (pure white)... meaning you're no longer Pantone 300C anymore... and the wrong color. And one last thing... Semi-transparent inks CAN and ARE used to an advantage. How? They can be considered in layers in slick ways to produce many other colors, by overlapping them with other spot colors in the chosen layout. So in the case of EBD, just looking at blues alone, two other blues were able to be produced by using the 300C in creative ways. The magic of silkscreening and layers! 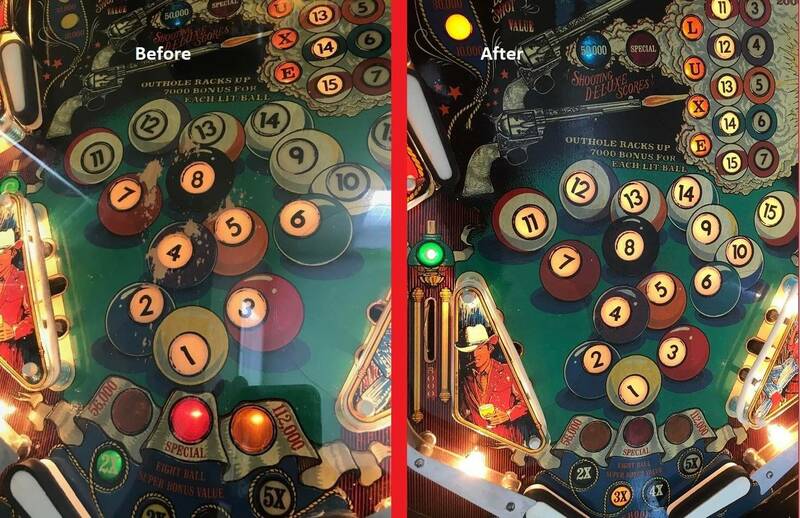 While they may have planned a playfield with only 8-10 spot colors, using layering tricks with semi-transparent tones, allowed them to add additional color results without having to add additional spot colors to the job. very cool to learn and thanks for sharing! Thanks for sharing that info Kevin. As always, you guys did a "killer job" in doing these playfields. Can't wait to see my TAF and Diner playfields I have on order. Thanks Kevin for explaining the logistics & physics of your work - cool stuff. 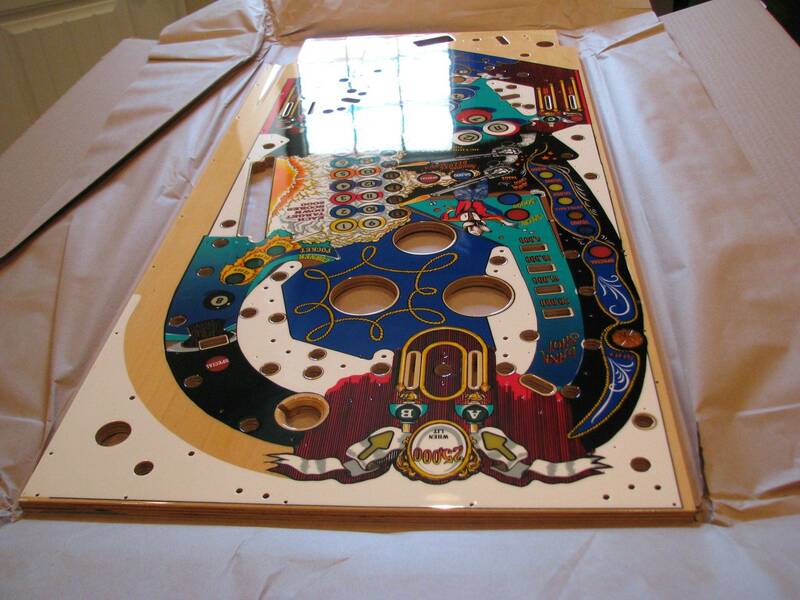 I'm looking forward to getting my EBD playfield & into my resto. Must be that time of day, eh Humph? Thanks for the great explanation, Kevin. You've undoubtedly experimented with this, but would a double screening of white on the wood do any good to cover up the nits/hickeys prior to the semi-trans color (or have we arrived at the point of diminishing returns)? We have been double screening white for years. That is why CPR white is so "white". Solvent based ink on sealed woodgrain still does tend to make perfectly sanded and hardened woodgrain micro-ripple and swell, as well as tiny nits/hickeys appear. The double-layer white ink itself always looks solid and perfect prior to colors, like gloss photo paper. It's when a semi-transparent ink is laid over it, that the relief your eyes can't see in the white become apparent - because the colored ink will lay down in slightly varying thickness across the relief. Coagulate around nits and hickeys. Making it slightly thicker, thus darker. If you look closely at the zoomed (click, view full size) EBD NOS playfield photos I provided, you'll see that the vertical sanding lines are made apparent by the varying thickness differences of the blue/green inks laying over the microscopic hills/valleys of the wood. While white itself looks perfect and solid. Yellow looks perfect and solid. Red looks perfect and solid. It's like semi-trans layers become the "revealer" of surface relief, visually. But opaque inks do not. Even though their thicknesses over the relief equally vary in the microscopic hills and valleys. You just can't see it in the opaques. I finally saw some in the blue on mine, but I had to look closely, they're very hard to see. 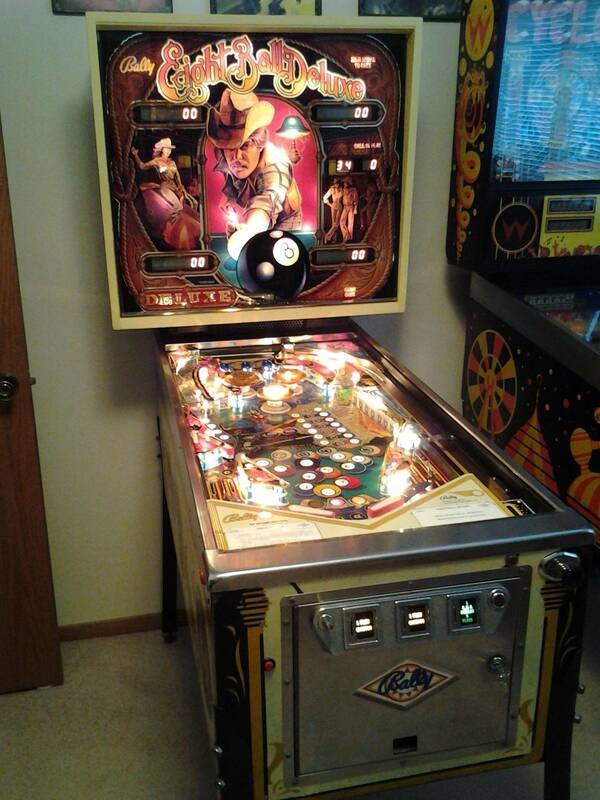 Like I said before, once the playfield is in the game and powered up I bet you won't even notice them. 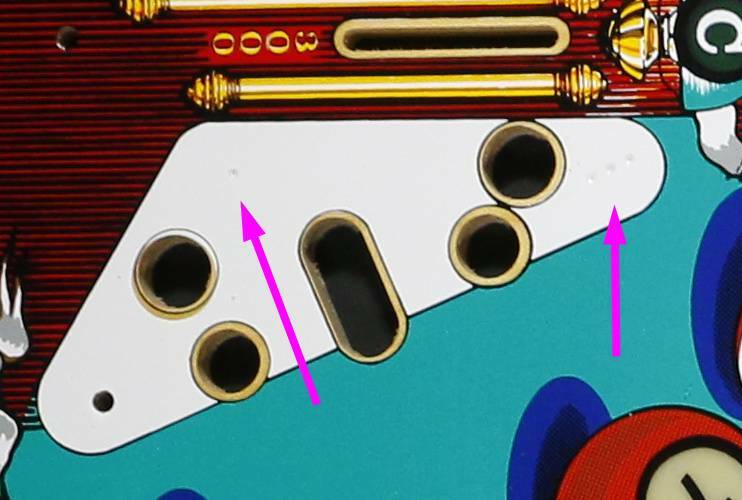 I just noticed that the upper sling post holes and the post holes above the right outlane are not drilled on mine, nor are they on the playfield in the photo gallery. However, they have been drilled on Blitzburgh's playfield. Just an FYI, some of us will have holes to drill. We have been double screening white for years. It all makes sense now. Thank you for your very informative explanations and insights on screen printing, and keep up the good work! So Kevin, are you guys planning to make another batch of the plastics sets? If you do decide to make another batch of plastics you have the opportunity to be the first one to make the clear plastics correctly by eliminating the unused pieces and locating the holes in the lower lane guides correctly. Every plastic set made has had these errors. Even old NOS ones. The plastic sets that are still available are nice but the CPR ones were nicer plus they had the cool topper and an extra set of slingshot plastics and a couple key fobs too. Oh, and just to SHOW what happens when you add base (white) to a pure tint based ink mix... illustrated below. 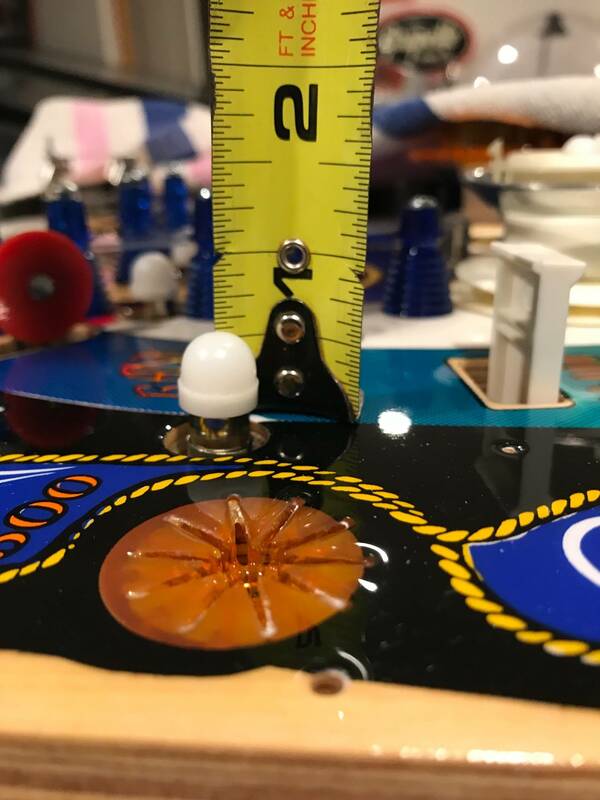 Moderators I recommend tagging these key series of posts this regarding playfield construction and process of ink screening for education. It might help dispel against future misunderstandings. This has the potential for owners to have another "playfields don't dimple" approach, if owners are unhappy. I look forward to receiving my EBD PF in the next couple of days. Although I will most likely in this case, provide it to a previous requested owner who needs it. the CPR ones were nicer plus they had the cool topper and an extra set of slingshot plastics and a couple key fobs too. PLASTICS - We're not allowed to right now because there was a huge IPB stash unearthed in their buyout, and currently still available, via BAA and PPS. So plastics (albeit not ours) are available. BACKGLASSES - We're not allowed to right now because Shay just ran them a month or two ago. So glasses (albeit not ours) are available. I don't see Shay listing them for sale (oddly) but I know a person who bought a couple. Plus Shay posted about them coming someday on RGP. I don't have any answers, nor would I speculate. BACKGLASSES - We're not allowed to right now because Shay just ran them a month or two ago. So glasses (albeit not ours) are available. I don't see Shay listing them for sale (oddly) but I know a person who bought a couple. Plus Shay posted about them here on Pinside. I don't have any answers, nor would I speculate. FWIW, I ordered an EBD BG from Shay's in December last year after contacting via e-mail. For whatever reason they are not listed on his website, but I was instructed to order a Spiderman BG using their website, but make a note that I actually want an EBD BG. Received the EBD BG O.K., though, but was half-expecting I would get a SM BG. Kind of an odd way of doing business. I just noticed that the upper sling post holes and the post holes above the right outlane are not drilled on mine, nor are they on the playfield in the photo gallery. Just an FYI, some of us will have holes to drill. 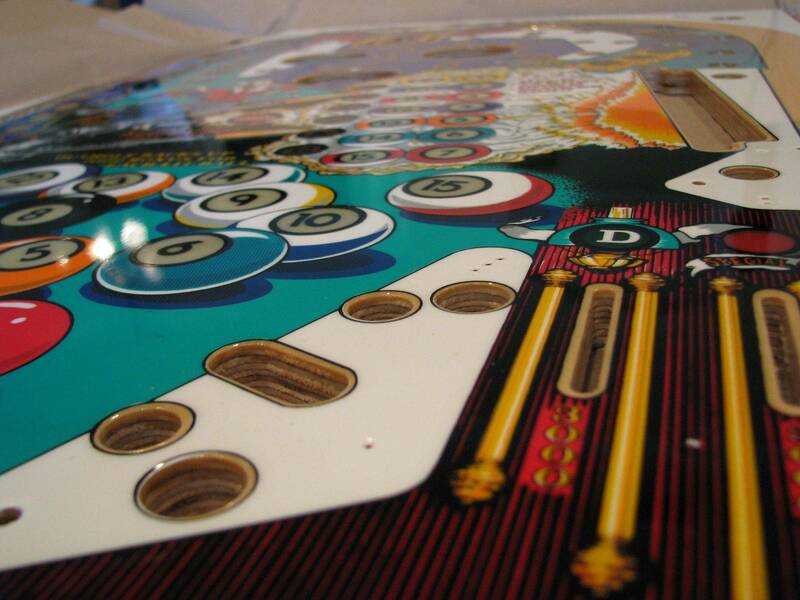 They are CNC drilled on every EBD playfield - as part of the programming. They cannot be missed or forgotten by human error. They are there as dimples, not holes. But on some you may have to look closely, as the double-white layering is very bold (as well as the 5 layers of clear on top). Glare against the light, you should be able to see a hint of sets of dimples in those locations. 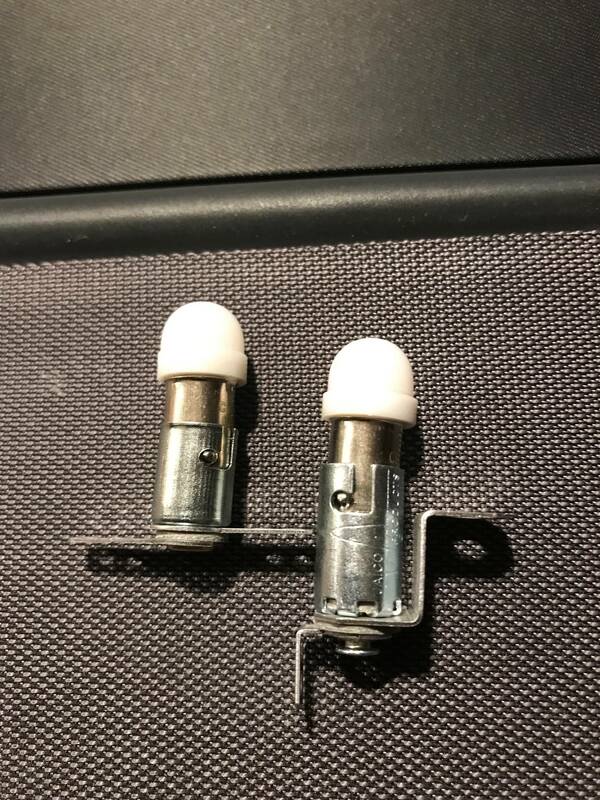 They are 1/16" bit holes, about 1/8" deep. CNC cut "dimples" ready for end user pre-drilling. Well then the ink has filled them in. The white and clear is perfectly smooth. I'll make a template from the original to find their exact location. That will definitely help, yes. 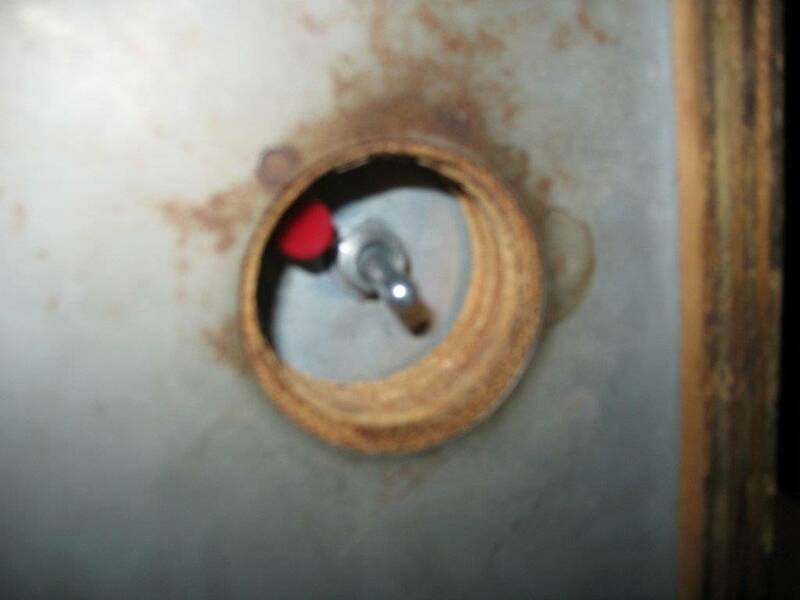 If you poke down with a pin or needle, using your template, you'll find them (ie. break thru). Sorry about that. Double-layering white has it's downside... the ink is sooo thick (like honey) it has the strength to abridge small holes. No worries Kevin. It's good info for everyone to know. Received mine today - huge thanks to Kevin and everyone at CPR for what you do. This thing is sweet. Did they ship with the white star for the rollover or did I miss something? Well then the ink has filled them in. I really want one of the toppers! LOL, now that would be a very cool BG! If anybody wants out of their field, who doesn't now need it, I could really use one. I inquired on CPR's still open wait list, but no response from them. Seems like there has been overwhelming demand for this classic game. All these shots of the latest run is torture! 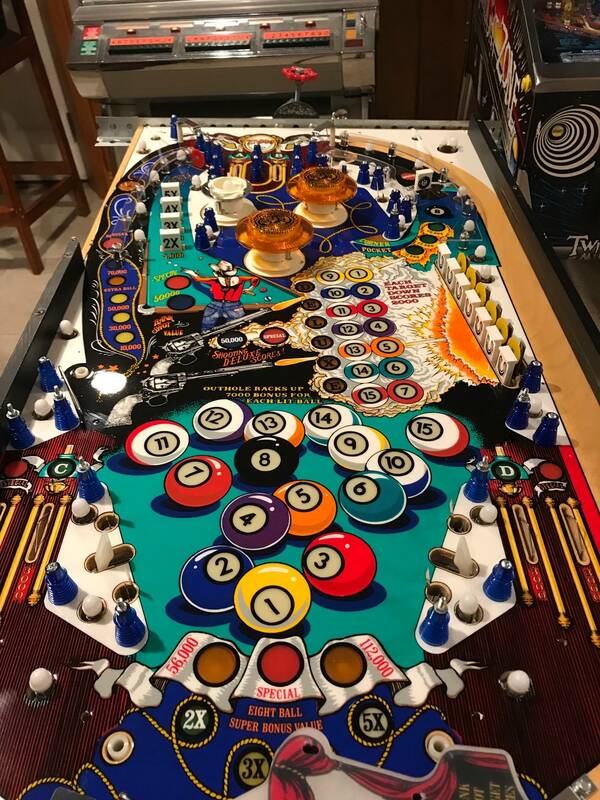 Classic Playfield Reproductions (CPR) did a good job after evaluation with their latest rerun of Eight Ball Deluxe playfields using the Fabulous Fantasies design films. This is despite some of the small color anomalies with "freckles" (as I have always called them) through the ink screening pantone layers. 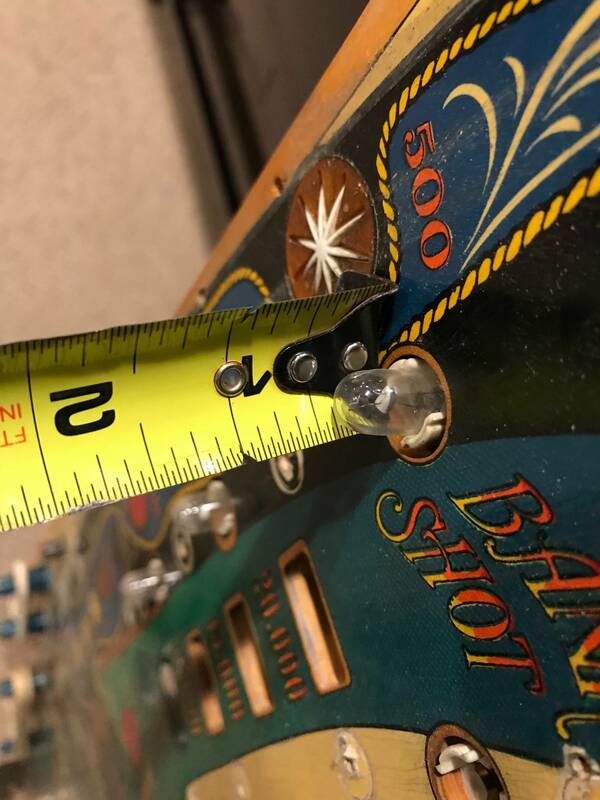 semi dumb question for the group- i'm about to start a playfield swap and would like to replace all the star posts - What size posts are they supposed to be ? 1 1/16 or 1 3/16ths? I don't trust my game has the original posts in it to measure from. 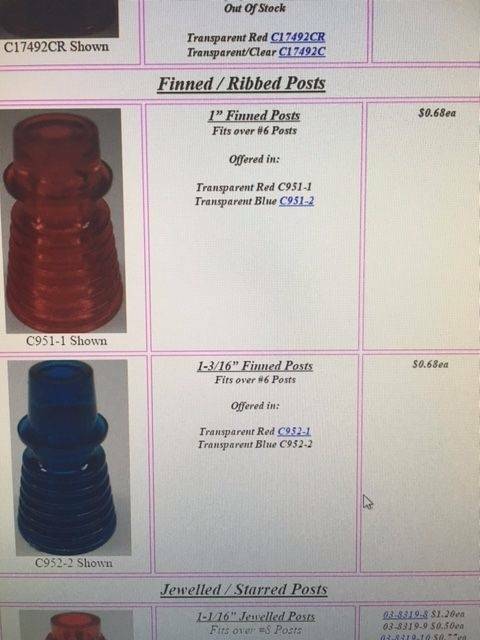 I'd go with Pinball Resource...1 3/16"
What size posts are they supposed to be ? 1 1/16 or 1 3/16ths? I don't trust my game has the original posts in it to measure from. 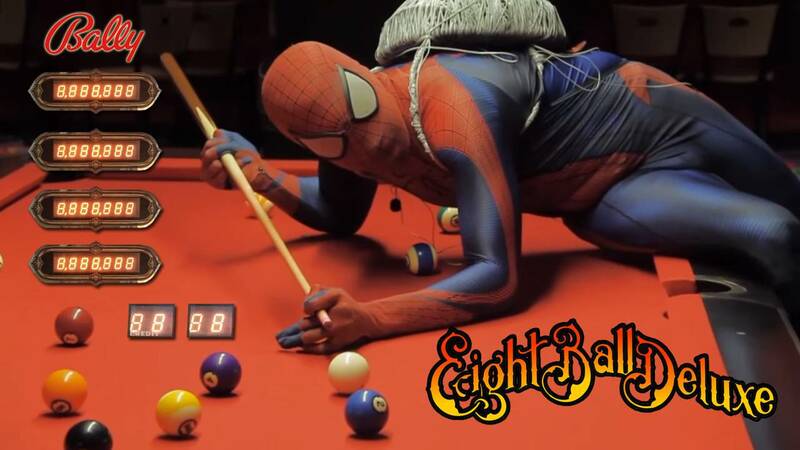 Eight Ball Deluxe has a mix of short and tall posts.